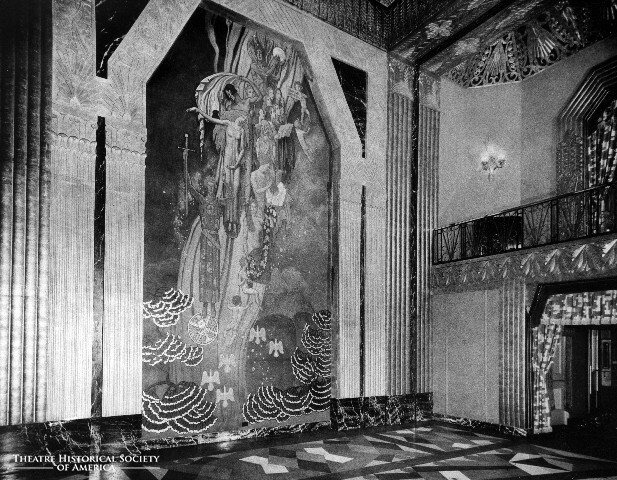 The Ft. Wayne Paramount Theatre opened on October 3, 1930 and had two very large Louis Grell murals located in the grand lobby. 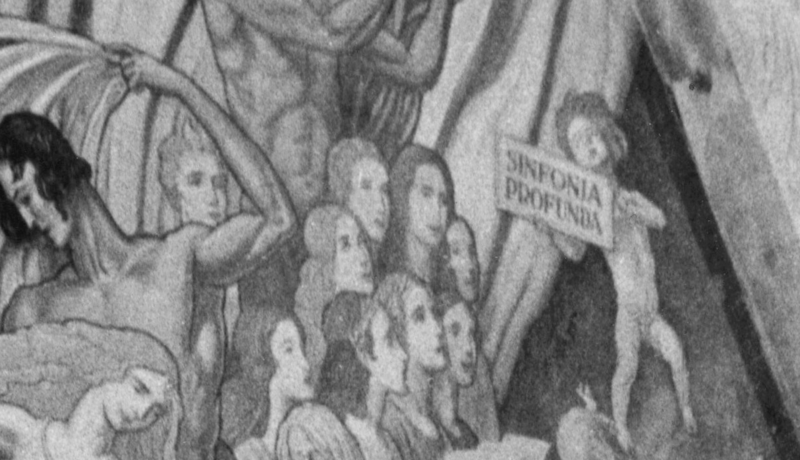 A closer examination of the left mural has revealed a possible title; Sinfonia Profunda or profound symphony in Greek as indicated by the small sign the child is holding in the upper right section. 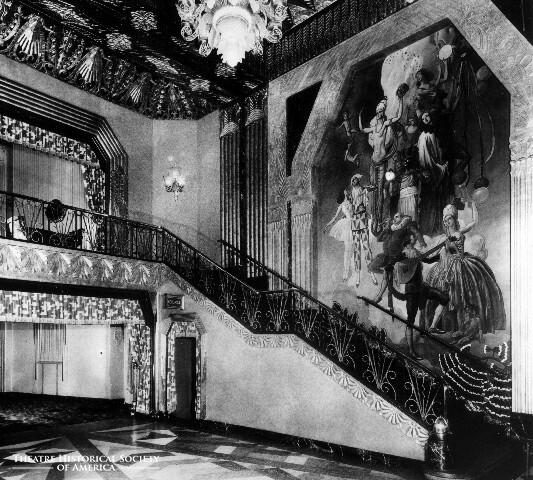 The second large mural was architecturally installed to the stairway wall leading up to the mezzanine level of the auditorium. 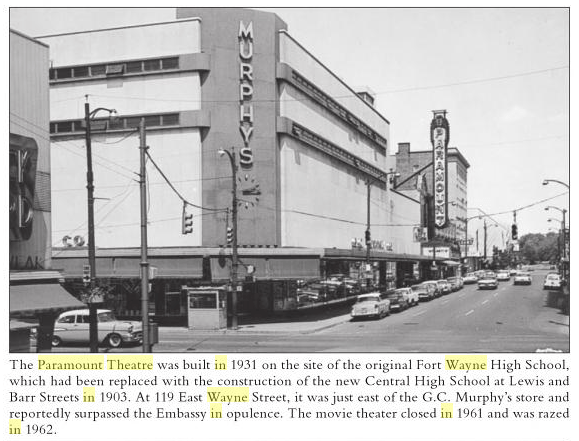 A black & white reproduction of the finished mural and sketch can be found in Grell’s artist file at the Art Institute of Chicago, Ryerson and Burham Library, folder for the Toledo Paramount Theatre-which is mislabeled. 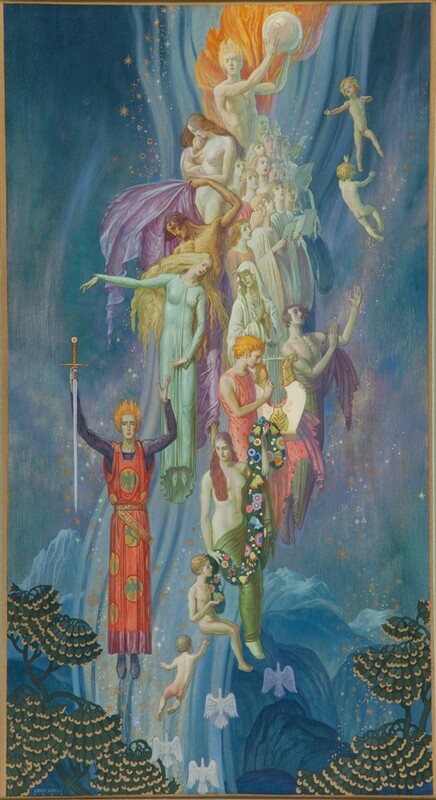 This drawing is featured on the Illinois Historical Art Project website and is very similar to Grell’s award winning Destiny large painting from 1930. 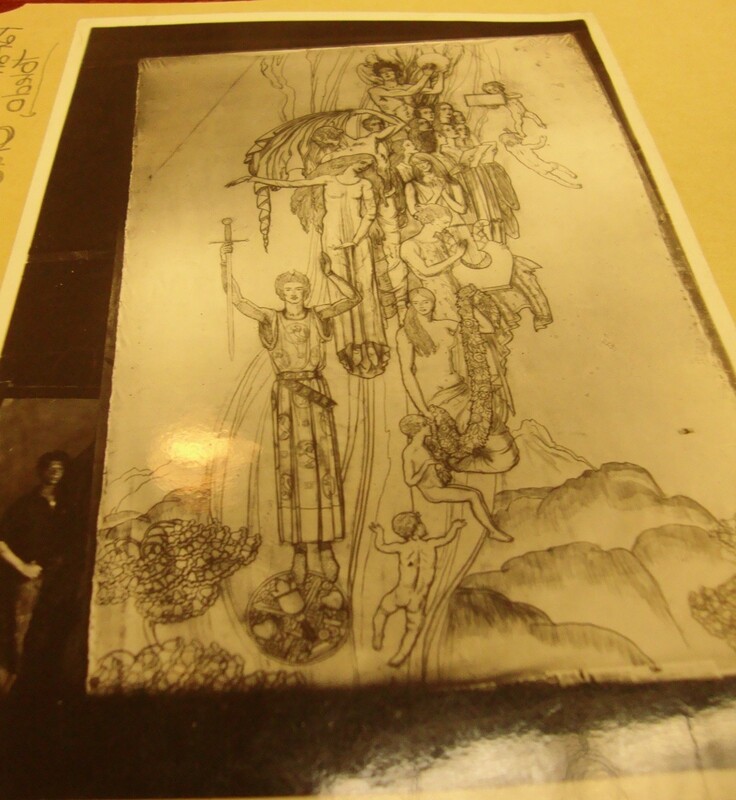 The sketch was approximately 30 feet tall as can be estimated by Grell’s assistant standing next to it. 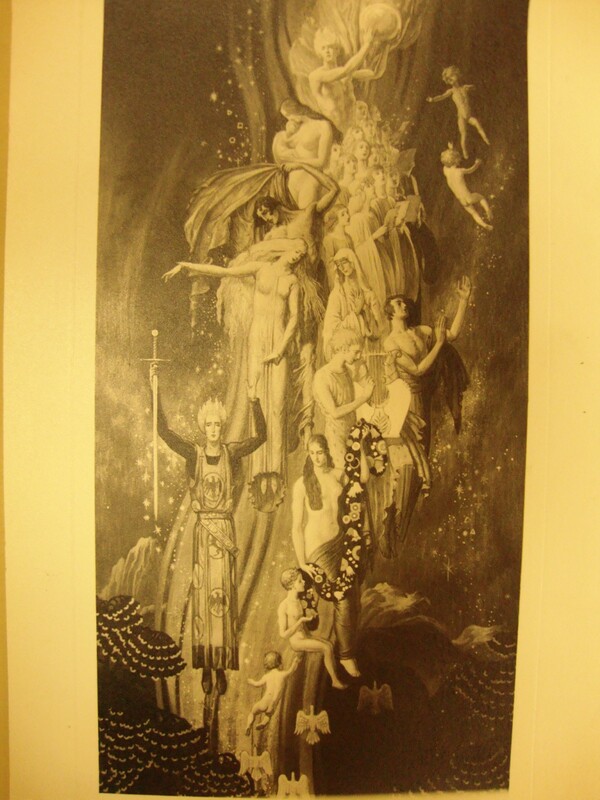 Grell had as many as 8 art assistants helping him on his large mural projects. 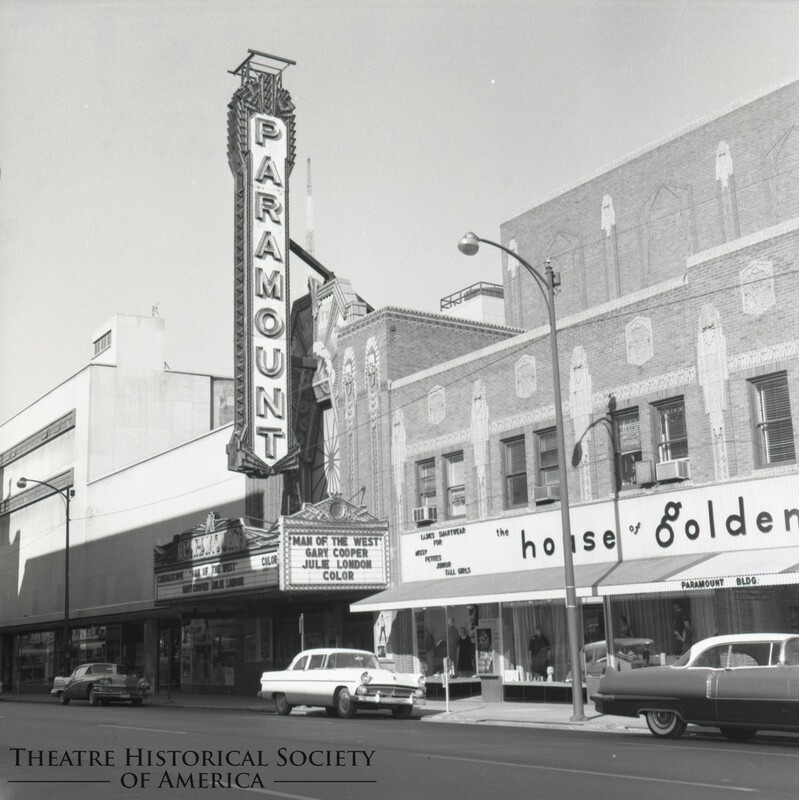 Thanks to the Theatre Historical Society of America, Pittsburg, PA, we now know that a version of this mural hung in the lobby of the Paramount Theatre, Ft. Wayne, IN. 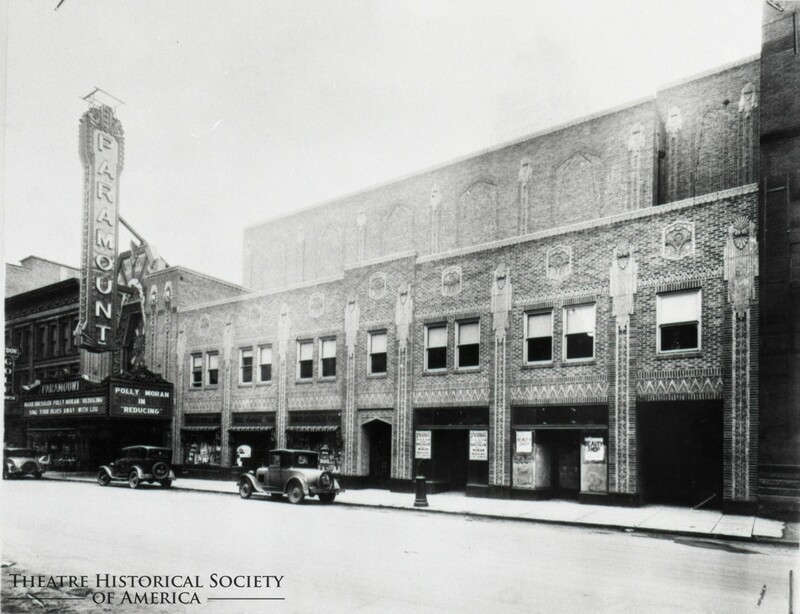 Since the Ft. Wayne Paramount Theatre opened in 1930, Grell must have done versions of this piece for other locations since this watercolor is signed 1932 or it was simply a record of this project done in 1932. 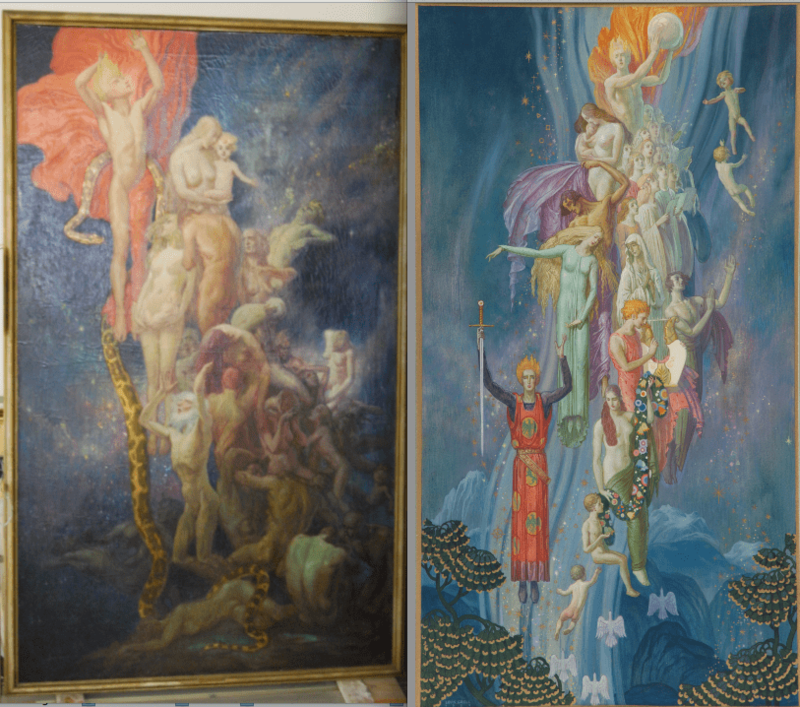 Close examinations reveal differences in the two versions; i.e. 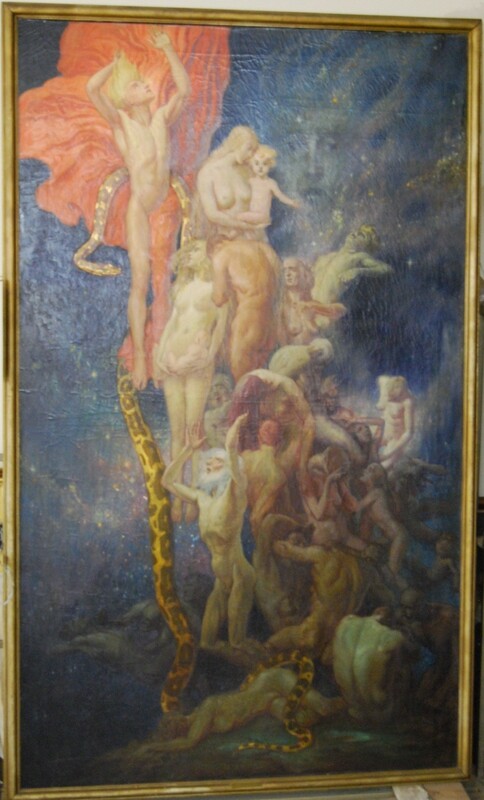 the child is not holding a sign and there is no celestial circle at the feet of the main lower character in red in Allegory Rising. 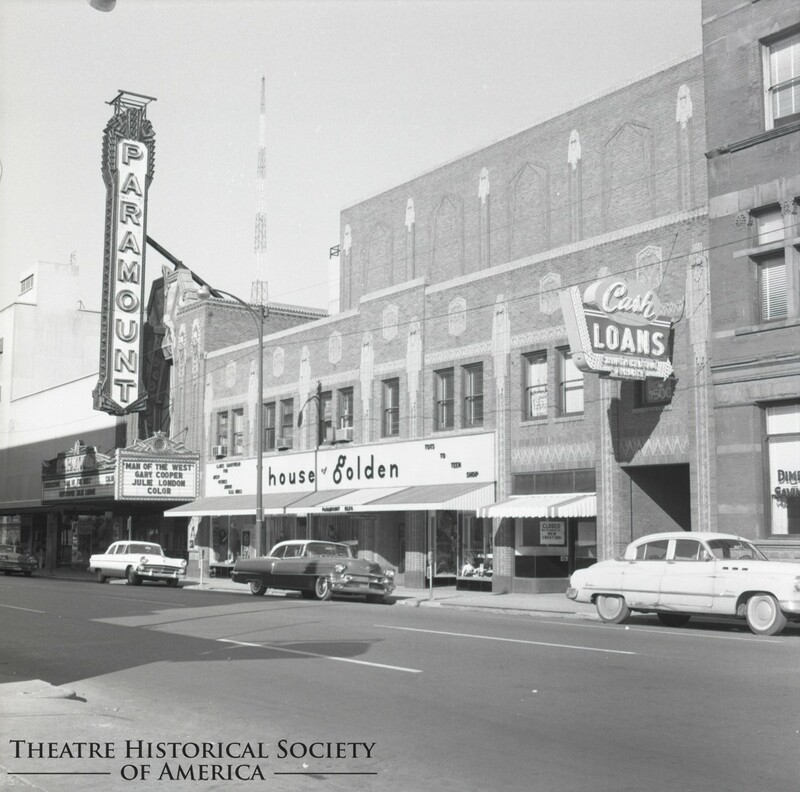 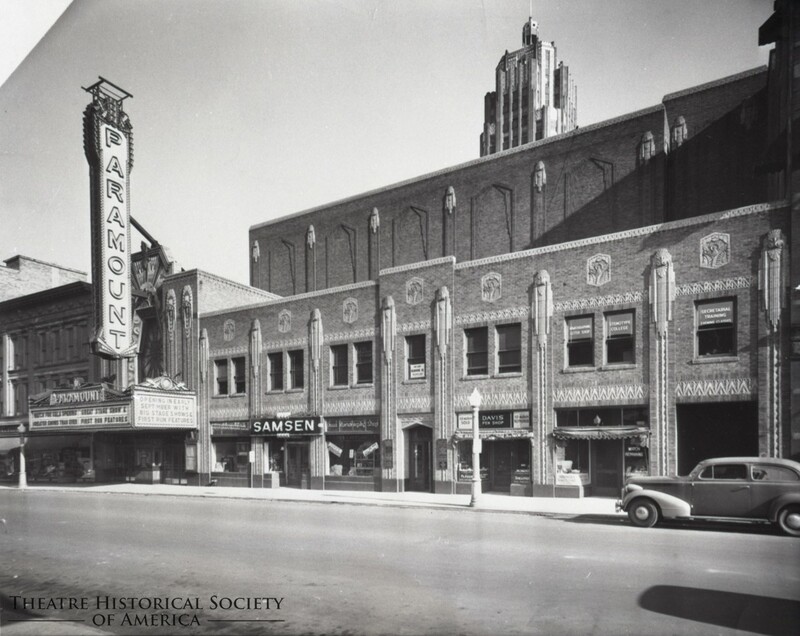 black & white exterior and lobby images of Ft. Wayne Paramount Theatre courtesy of the Theatre Historical Society of America. 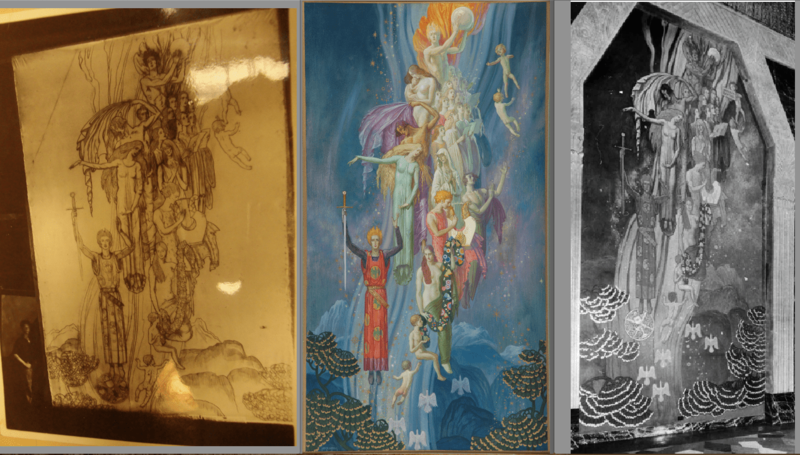 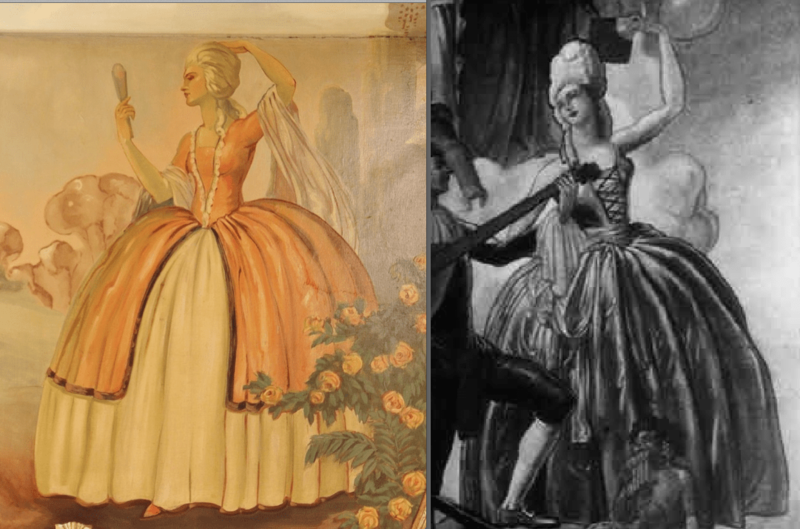 black & white images of Allegory Rising and the sketch of Sinfonia Profunda courtesy of Ryerson & Burnham LIbrary, Art Institute of Chicago.